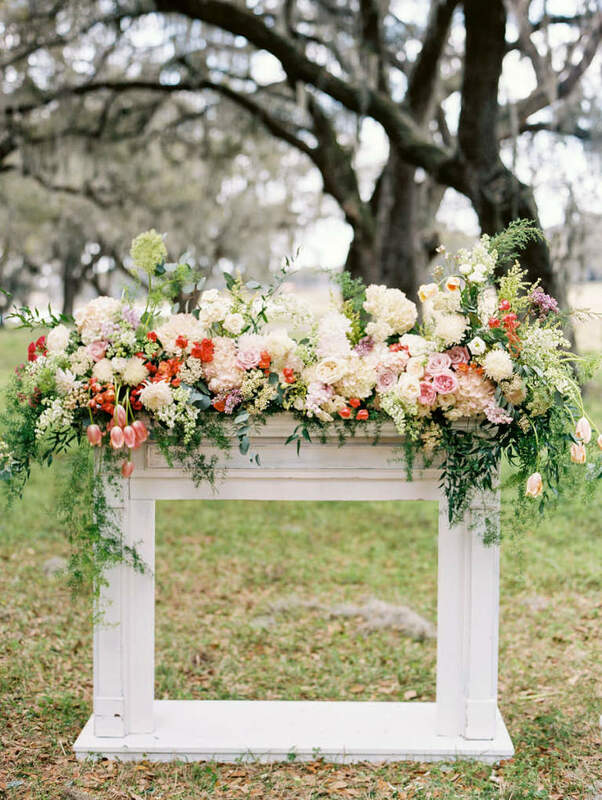 Summer is the perfect time to combine the whimsy of watercolors and the nostalgia of vintage blush furniture for an outdoor Tampa Bay wedding. Tampa Bay wedding photographer Emily Katharine Photography, partnered with Tufted Vintage Rentals and designer Ever After Vintage Weddings to curate an artistic inspired vintage styled wedding shoot. 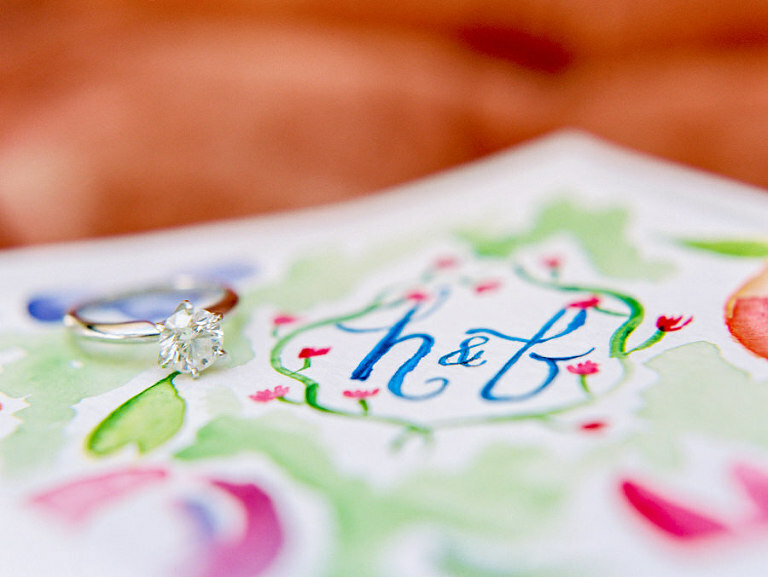 The idea for this feminine, outdoor wedding came from the photographer’s personal style and self-expression through watercolor painting. From the mismatched vintage glassware to the gold and blush tablescape and dessert table, designer Ever After Vintage Weddings left no detail untouched as the pastel colors seamlessly came together to create a stunning watercolor inspired theme carried throughout the shoot. 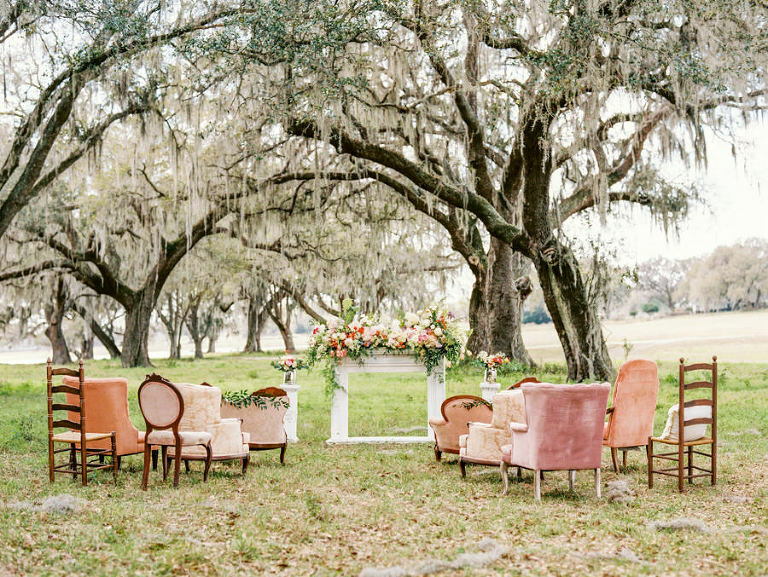 To enhance the vintage ambiance of this Tampa Bay wedding shoot, Tufted Vintage Rentals provided an eclectic grouping of vintage seating for the outdoor wedding ceremony under the lush Florida oak trees. The specialty seating continued into the reception decor, with the gold chiavari chairs from Signature Event Rentals adding an elegant flair to the soft color palette. 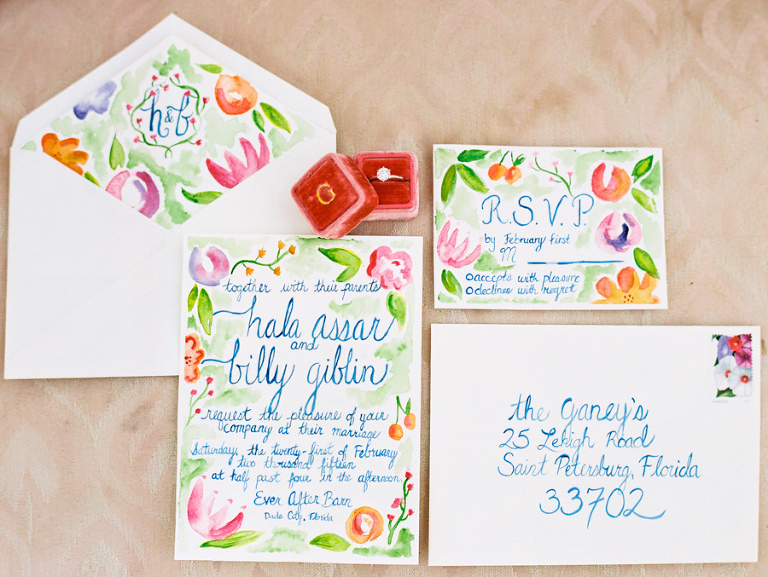 The artistic handpainted touches included watercolor invitations, place cards, cookies, cake and even a portrait of the couple. “We loved the idea of guests painting a little bit themselves and taking their hand-painted cookies home as favors!” Emily shared. 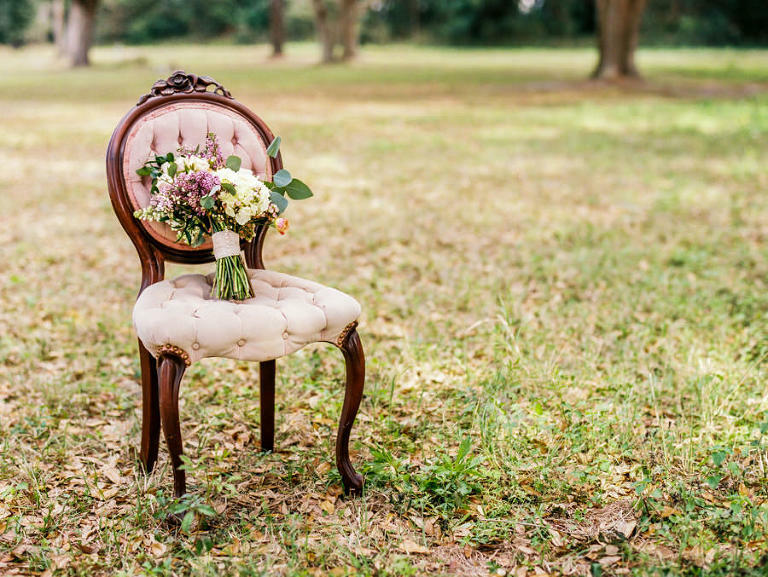 Photography: Contact for quote | Hair and Makeup: $165 for bride, including travel | Chiavari Chair Rentals: $1,100 for 150 chairs | Styling: Contact for quote | Vintage Rentals: $4,000-$5,000 for upholstered furniture for ceremony to seat 150 | Cake: Contact for quote | Flowers: $2,500 for ceremony and personals | Gown & Accessories: $250 | Suit: $650 *This estimate does not include all aspects of a wedding such as officiant, catering, favors etc.